We can thank the Islanders teams from the early 1980s for a ton of things: championships, memories, history, but there might be nothing as unique as their ownership of the original playoff beard. With every grizzly skater you see on television as the Blackhawks and Bruins fight for the Stanley Cup, or with every fan who posts a selfie on Instagram of their #playoffbeard, you can thank guys like Clark Gillies, Ken Morrow, John Tonelli and Butch Goring. Men from the Islanders’ dynasty teams are the Fathers of the Playoff Beard. 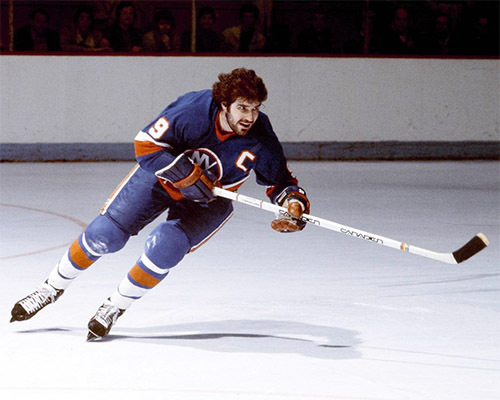 In the same Boston Globe story, Islanders legend and Hockey Hall of Famer Clark Gillies said the team didn’t realize at the time that the beards meant anything. It wasn’t a calculated measurement. It’s hard to picture John Tavares, Matt Martin or Matt Moulson with burly thatches of facial hair, but Islanders fans are game. The more they win, the more the hair generally stays.